People usually backup their personal files to USB drive in order to make the information portable. But how to automatic daily back them up to USB drive? AOMEI Backupper will help you. We always backup our personal files in case of data losing. With the using of computer, your personal files are adding or changing. If you need to backup every time, that would be very annoying, and sometimes, you may forget to backup your files. 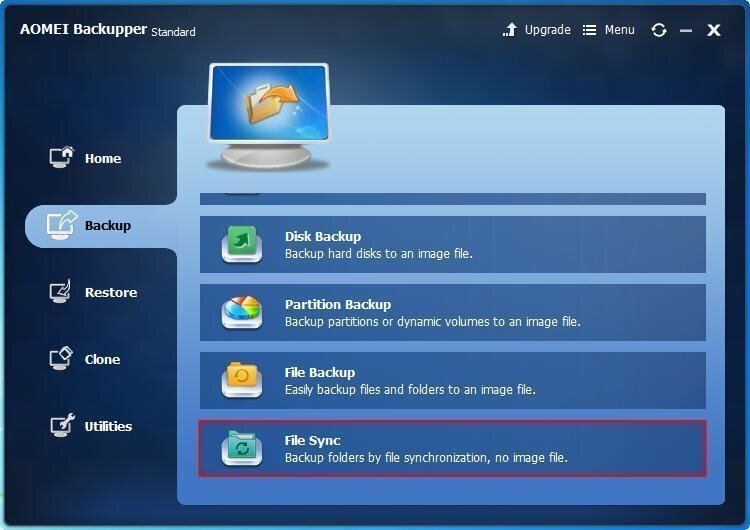 Thus, to setup an automatic backup for your personal files is necessary. You may backup your files to other local partitions, or local disks. You can also back them up to an external hard drive like CD/DVD or portable media like USB Flash drive, or share on NAS. Most of people choose to backup personal files to USB flash drive, because USB flash drive can store files safely and it is portable for carrying. As many people want to bring the files back home to continue work, they backup the files to the USB flash drive at the office. While after working at home, they have to back it up again, and when they come to office, they need another backup. This is very complicated and inconvenient. Is there any way that you can backup those personal files while you plug in the USB flash drive? How to automatically daily backup your personal files to USB flash drive? Schedule backup is very convenient. 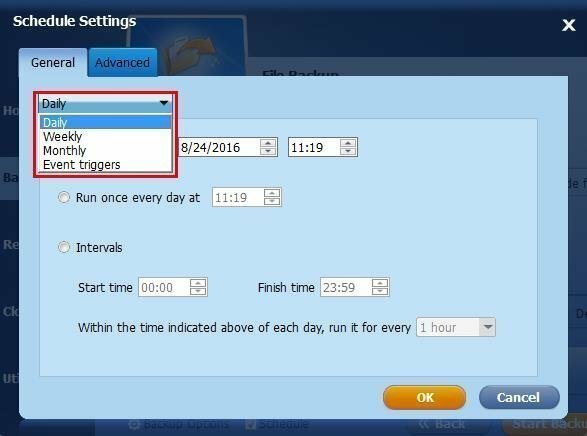 You can setup an automatic backup in daily, weekly, monthly or event triggers as you want. But how to automatically daily backup your personal files to USB flash drive? You may need a third-party software like AOMEI Backupper Standard. AOMEI Backupper Standard is a great powerful backup freeware for Windows PC users. You can use it to solve most of backup problems no matter what Windows operating system you are using. Because it supports almost all the Windows OS including Windows 10/8.1/8/7/Vista/XP. Step1. Download AOMEI Backupper Standard, install and launch it. Click Backup and slide the bar to choose the File Sync. Step2. Then, you will move to the interface that you need to select the files you want to backup, and the destination space to store it. 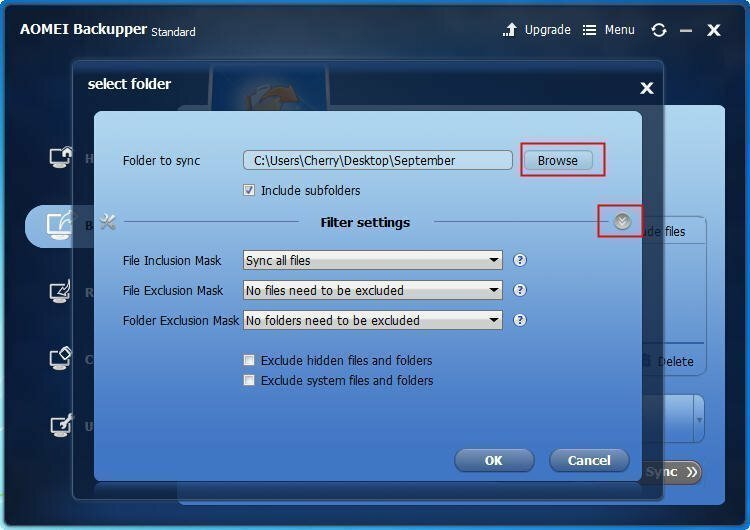 Click Add Folder, it will pop-out a window, click Browse to select the folder, and you can set file extension in Filter settings. Click OK to go back to choose the destination space. Step3. Click Step2 in the following picture and select the USB flash drive you prepared before. Step4. To setup an automatic daily backup, you can click the Schedule, and it will pop-out a window with two tabs, General and Advanced. Click General and select Daily as the following picture shows. After all the settings, click OK, then click Start Sync. It will run and when it reaches 100%, click Finish to exit. See, automatic daily backup your personal files to USB flash drive with AOMEI Backupper only needs a few steps. Besides, it can do many other things far beyond backup. You can know more about this USB backup software here. 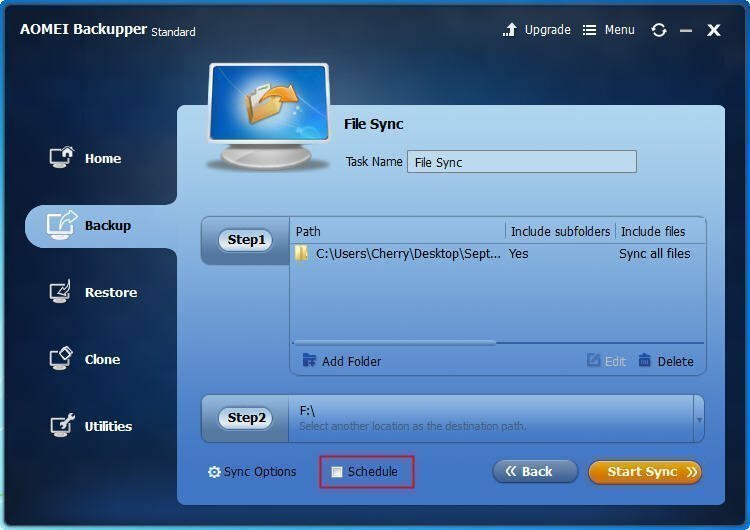 The File Sync of AOMEI Backupper is an one-way synchronizing function. You cannot synchronize files and folder to CD/DVD/Blu-Ray.